Dario Rodriguez liked the chapter 'Volver a escribir...' from 'Quédate Conmigo'. Dario Rodriguez liked the chapter 'Presentación' from 'Quédate Conmigo'. Kath Leyva published a new chapter 'D-Day' from the story 'Quédate Conmigo'. Kath Leyva published a new chapter 'La vida y sus posibilidades...' from the story 'Quédate Conmigo'. Kath Leyva published a new chapter 'No me busques más' from the story 'Quédate Conmigo'. Kath Leyva published a new chapter 'Nacemos cálidos, moriremos fríos' from the story 'Quédate Conmigo'. Kath Leyva published a new chapter 'A ti, que apenas te conozco.' from the story 'Quédate Conmigo'. Kath Leyva published a new chapter 'Vacío' from the story 'Quédate Conmigo'. Kath Leyva published a new chapter 'Nada más...' from the story 'Quédate Conmigo'. Kath Leyva published a new chapter 'Y solo el tiempo lo dirá...' from the story 'Quédate Conmigo'. 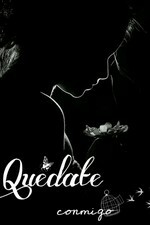 Kath Leyva published a new chapter 'Solo un espejismo' from the story 'Quédate Conmigo'. Kath Leyva published a new chapter 'Del mismo lugar' from the story 'Quédate Conmigo'. Kath Leyva published a new chapter 'Porque eres tú' from the story 'Quédate Conmigo'. Kath Leyva published a new chapter 'En dónde me encuentro' from the story 'Quédate Conmigo'. Kath Leyva published a new chapter 'Como un sueño, como un milagro' from the story 'Quédate Conmigo'. Kath Leyva published a new chapter 'Por si te encuentro' from the story 'Quédate Conmigo'. 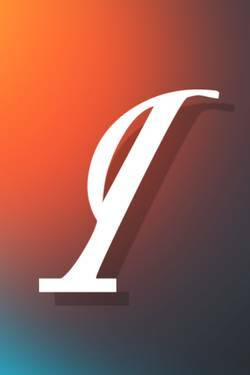 Kath Leyva published a new chapter 'Volver a escribir...' from the story 'Quédate Conmigo'. Kath Leyva published a new chapter 'Presentación' from the story 'Quédate Conmigo'. Quédate Conmigo has been marked as completed.